Australian-themed steakhouse best known for its steaks & Bloomin' Onion. Also chicken, pasta, seafood. Wonderful pastas. Healthy options too. Casual Italian-American dining based on Old World - inspired dishes. Bars outside and inside. Lots of TV's showing sports. Good menu. Top Floor Disney's Contemporary Resort. Observation deck where guests can enjoy Magic Kingdom fireworks. Pacific Coast - inspired dishes. Sushi, brick oven-baked flatbreads, handmade Sonoma goat cheese ravioli. Dine among trumpeting elephants & chest-pounding gorillas in an exciting indoor rainforest. Watch for sudden rain storms - you won't get wet. 'Floribbean' fare. Great Cheeseburger in Paradise. Southern-style cuisine. Wonderful hickory BBQ ribs. Seafood, chicken, steak, inspired by the flavorful and colorful ingredients of the islands. More than just cheesecake. This is an upscale, casual dining restaurant with more than 200 menu selections. Lots of healthy options. Casually sophisticated grill and wine bar. Outstanding food, sensational flavors. No item on menu more than 475 calories. Wonderful flatbreads, desserts in shot glasses. Signature oak-wood flavor grill. Also, chicken, pasta, steak, chops. All-American char-grilled large-cut steaks and bone-in chops. Renowned steak house. Signature steaks seared at 1800 degrees, topped with fresh butter and arrive at table sizzling. This park has a range of superb rides and shows, 'Indiana Jones Epic Stunt Spectacular ' is a show not to be missed, as is the night-time firework extravaganza of 'Fantasmic'. Try the Kilimanjaro safari in a jeep bumping along a mud track - the photo opportunities are endless and you really believe you are out on the savannah. Like the other Walt Disney World parks, there are other attractions like the 3D 'It's tough to be a bug', and there is an afternoon parade and other fun rides. Disney combines education and fun in this park - a great day out. Another water park with slides, pools, a slow river, a surf pool and a saltwater artificial coral reef with tropical fish that you can snorkel through. This theme park has lots of amazing rides, from the rather tame, but very cute, 'ET Adventure' to the quite spectacular show 'Terminator 2: 3-D Battle Across Time' and the ride 'Earthquake - The Big One'. Oak Trail – this is a 9 hole walking course. It is a very good course for beginners although does not have the same stunning scenery of the other Disney courses. You can book tee times on line at the above link. They also have a most amazing driving range. You are met at the bag drop, the caddy takes your bags and sets them up on the range where there is a pyramid of balls all ready and waiting for you. The range itself is really lovely. 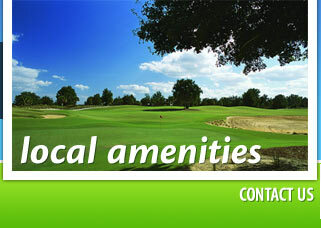 The golf course itself is quite challenging and weaves its way through homes and condos.